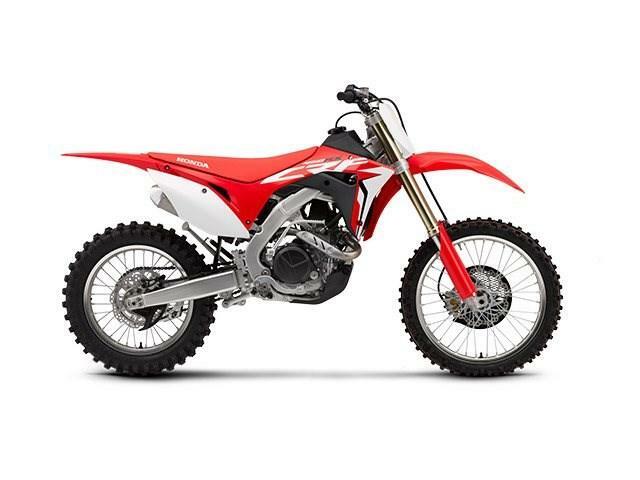 When it comes to motocross, our new 2017 CRF450R is huge news this year. 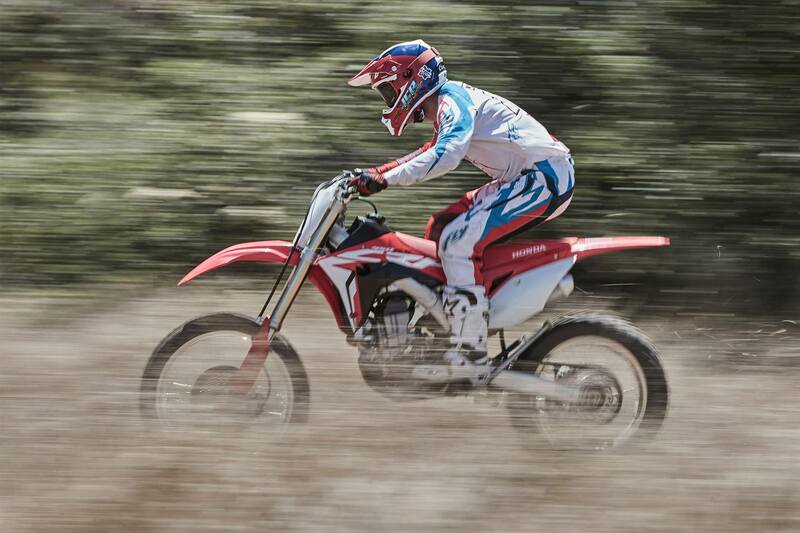 But in the enduro, hare scrambles, and GNCC world, there’s even bigger news: Introducing the new 2017 Honda CRF450RX, the ultimate weapon for serious off-road competitors. 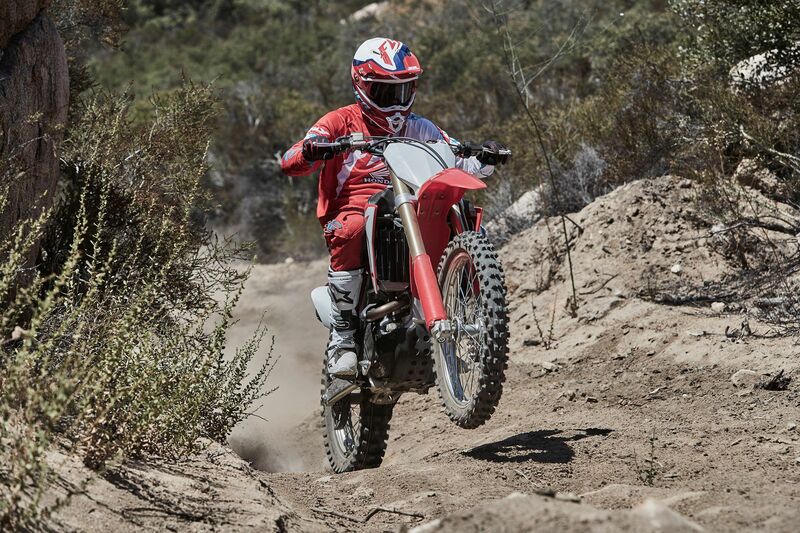 At its core, we’ve taken our new CRF450R and optimized it for off-road racing. And not with just some new tires or graphics. We’ve done it the Honda way—the right way. And the results are, well, electrifying. ELECTRIC AND KICK START: Talk about the best of both worlds: The new 2017 CRF450RX comes with both a kick- and electric-starting system as standard equipment. 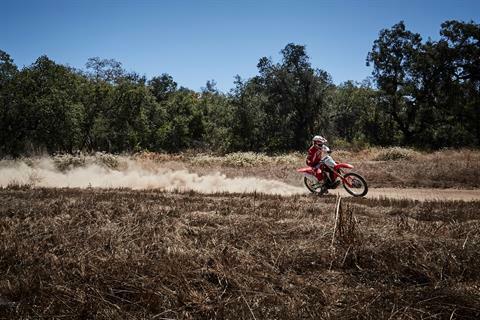 Having both options will ensure faster GNCC starts for the ultimate holeshot. 18-INCH REAR WHEEL: An 18-inch rear wheel is another indication of the CRF450RX’s off-road heritage. Whether it’s red Georgia clay, Florida loam, or Baja sand and rocks, you’re going to find this bike offers the performance you need. 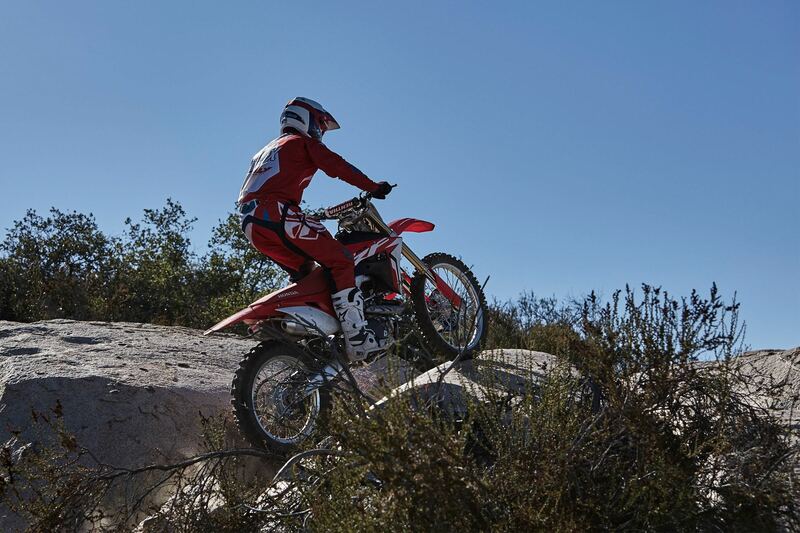 OFF-ROAD SUSPENSION WITH SPRING FORK: Designed specifically for the demands of off-road riding, the CRF450RX’s new Showa Spring Fork and suspension components are fully adjustable and chosen to give you the ultimate tunability and performance in the field for changing conditions. DUNLOP GEOMAX OFF-ROAD TIRES: The new Geomax AT81 tires are specially designed for off-road riding, and help the new CRF450RX hook up and put its holeshot traction to the ground. NEW ALUMINUM FRAME: Our twin spar aluminum frame positions the rear shock’s mounting point low, opening up the airbox area and contributing to a lower center of gravity. The frame geometry also helps give you more traction, and that means more holeshots! CYLINDER HEAD LAYOUT: The 2017 CRF450RX uses a new “in-finger” rocker design. The efficient Unicam cylinder head gives you the design and performance of a double-overhead-cam layout but the compactness of a single-overhead-cam design. SCAVENGE PUMP: Deep in the engine, there’s a new oil scavenge pump. You may never see it, but it helps keep the CRF450RX’s overall design compact.